Several recent publications have described examples of physical and functional interations between tetraspanins and specific membrane proteases belonging to the TM-MMP and α-(ADAMs) and γ-secretases families. Collectively, these examples constitute an emerging body of evidence supporting the notion that tetraspanin-enriched microdomains (TEMs) represent functional platforms for the regulation of key cellular processes including the release of surface protein ectodomains ("shedding"), regulated intramembrane proteolysis ("RIPing") and matrix degradation and assembly. These cellular processes in turn play a crucial role in an array of physiological and pathological phenomena. Thus, TEMs may represent new therapeutical targets that may simultaneously affect the proteolytic activity of different enzymes and their substrates. 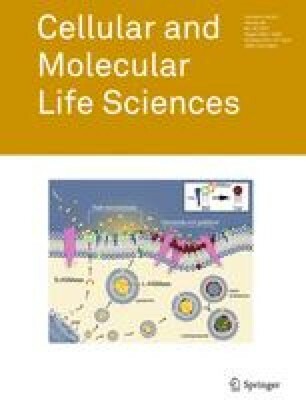 Agonistic or antagonistic antibodies and blocking soluble peptides corresponding to tetraspanin functional regions may offer new opportunities in the treatment of pathologies such as chronic inflammation, cancer, or Alzheimer's disease. In this review article, we will discuss all these aspects of functional regulation of protease activities by tetraspanins. This work was supported by grants BFU2007-66443/BMC and BFU2010-19144/BMC from Ministerio de Ciencia e Innovación, a grant from Fundación de Investigación Médica Mutua Madrileña and by the RETICS Program RD08/0075-RIER (Red de Inflamación y Enfermedades Reumáticas) from Instituto de Salud Carlos III (to C.C. ), a grant from Fundación de Investigación Médica Mutua Madrileña (to M.D.G.L. ), and the grant PI080794 from Instituto de Salud Carlos III (to M.Y-M).